Ahurei Adventures simply means ‘unique’ adventures, and that’s what you should prepare yourself for when you meet tourist owner/operators Richard & Merianne White, because that’s exactly what they offer their guests, a unique adventure. Tucked away in the majestic mountains of the Urewera, the Waiau Valley is located near Ruatāhuna; the Heart of the Urewera and your adventure starts here, in the warm embrace of Hinepukohurangi (Mist Maiden). This is where time stands still, where you allow your unique adventure to be led by experienced guide Richard, whose family has lived in the Waiau Valley for centuries. Ahurei Adventures offers a comprehensive guided hunting experience for hunters, complete with Richards hunting tips! For years novice and seasoned hunters alike have been amazed by the sheer numbers of wild deer roaming grazing and roaring on the exclusive private lands of Richard’s family in the Waiau Valley. Hunting is seasonal from October to April and the roar happens sometime during late March early April. Richard has extensive local knowledge of deer movements and deer behaviour in the area, and can call on the most experienced and skilled local bushmen to help if needed. The hunting cabin is comfortable, taking care of all your basic needs. It can be hired out exclusively or shared with others. Being on private Māori land means Ahurei Adventures knows exactly who is in the area, guaranteeing you absolute personal safety. Ahurei Adventures prides itself on following strict safety procedures with hunters, ensuring all equipment is in top working order. Ahurei Adventures offers coordinated services including travel to and from Ruatāhuna, camp, cabin, marae and motel accommodation and meals. When planning your unique hunting adventure, we suggest you call and ask for Merianne or Richard, and be sure to get in early and book before the season opens. For more information click on rates and bookings. Enjoy a total escape to the remote, wilderness of the Waiau River in Te Urewera National Park. 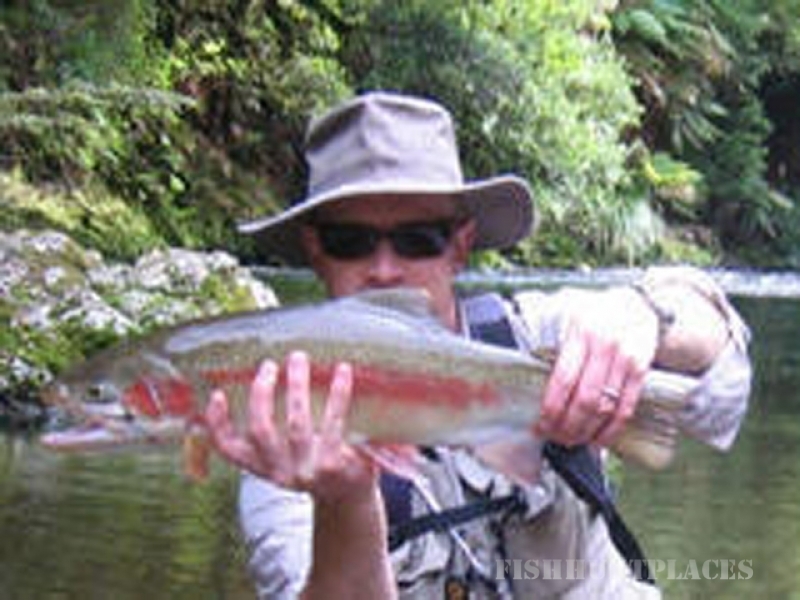 Known locally as the fisherman’s paradise, the Waiau River is flowing with rainbow trout of all sizes big and small. From crystal clear pools where the fish can be seen, to white water rapids where keen skills bring on the excitement of the catch, the Waiau River is one of New Zealand’s best kept fishing secrets. Most fish are catch and release but this is optional. If you choose to use an Ahurei Adventures guide then not only will you have access to the best local knowledge of all the top fishing spots, but all permits, licences, Department of Conservation hut concessions, vehicle security, and 4×4 shuttle to the river can be taken care of. A pack horse can also be hired to carry your gear in and out. In addition, Ahurei Adventures can provide accommodation at Oputao Marae in Ruatahuna, or in a comfortable, but basic cabin at White’s Clearing. For more information on rates and bookings.